Darshan Suthar from Banswara, Diploma Graduate. Darshan Suthar is Engineering and currently have no work experience. ELECRIACL PANEL DESI.. NGO COMPUTAER DIPLOMA RS CIT SUB STATION MAINTEN.. SUPERVISORS AND LEAD..
are one of expert skill area's of Darshan Suthar . 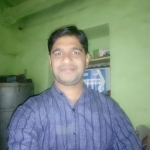 Darshan Suthar is working in Production/Manufacturing/Maintenance industry.